The talk of creating a BRICS Credit Rating Agency (CRA) emerged during the 2015 BRICS summit in Ufa. The group of five nations is ready to set up the BRICS Credit Rating Agency, that will initially rate bonds issued by the New Development Bank (NDB) and debt instruments for banks and financial institutions in BRICS countries. It could eventually emerge as an independent rating agency challenging the monopoly of existing international ratings agencies. Having set up the New Development Bank (NDB), the BRICS have now agreed to set up a credit rating agency that could challenge this western hegemony in the world of finance. "We welcome experts exploring the possibility of setting up an independent BRICS Rating Agency based on market-oriented principles, in order to further strengthen the global governance architecture," the joint declaration issued after the 8th BRICS Summit in Goa states. "We believe that BRICS institution-building is critical to our shared vision of transforming the global financial architecture to one based on the principles of fairness and equity," the statement says. The talk of creating a BRICS Credit Rating Agency (CRA) emerged during the 2015 BRICS summit in Ufa. However, it was unclear when the roadmap to create it would be actually set. By including the clause on the rating agency in the Goa Declaration, the leaders of five nations signaled the beginning of the actual process of setting up such agency, analysts believe, despite China expressing concerns over its credibility, media reports said. Speaking at the BRICS Financial Forum organized by EXIM bank in Goa, alongside the BRICS leaders’ meet, K V Kamath, President of the New Development Bank, backed the idea of creating an independent BRICS credit rating agency. The NDB is the first formal institution created within BRICS. Methodologies used by the global rating agencies constrain growth in emerging nations, Kamath noted. Even the rating of multilateral banks such as the NDB, he said, are affected due to bad sovereign ratings of the parent countries'. Finance experts and government officials from developing counties have often pointed out that the methodology used by the “Big Three” of global rating agencies; the US-based Standard & Poor’s, Moody’s and Fitch that currently have more than 90 per cent market share in the ratings business; had inherent biases. Emerging countries have been complaining of the double standards of the global rating agencies and have partly blamed them for the high cost of borrowings. Developing countries were rated lower compared to western counties with poor macro-economic indicators. The “Big Three” have also come under the scanner after the Wall Street financial crisis in 2008. 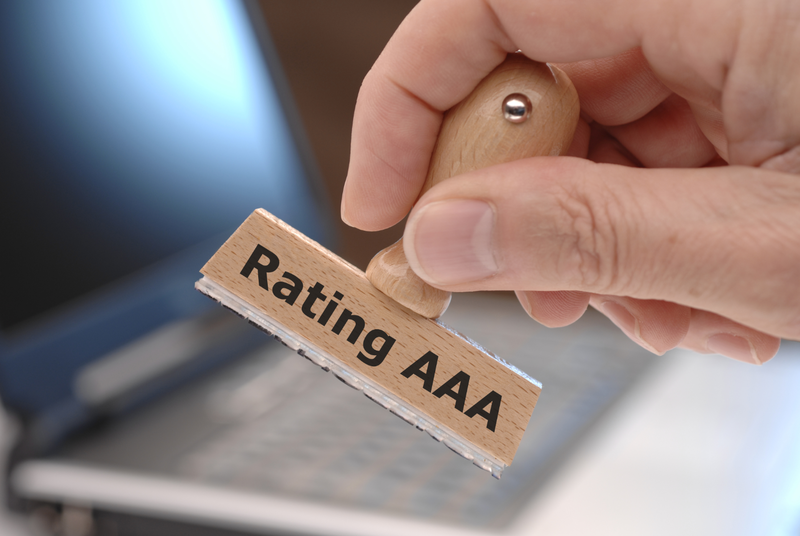 It is not yet clear who will take the leading role in establishing the new rating agency. A Memorandum of Cooperation for instituting a BRICS credit rating agency, the draft of which was discussed during the BRICS Interbank Cooperation Mechanism Technical Group Meeting at Udaipur in March, was expected to be signed at the Goa summit, but did not happen. According to experts representing BRICS finance, establishing a new rating agency is not an easy task and might take years and even decades. “Harmonizing regulation is a challenge, it can take ten years or even longer”, Alexey Kechko, CEO, Sberbank in India said, addressing a Seminar on Financial Services Cooperation amongst BRICS countries in New Delhi. “Finding the right business model and methodology is also a big question,” he added. The current model used by the largest rating agency is known as ‘issuer paid model’ where the company, organization or institution pay for being rated. The BRICS rating agency could rather look at investor-pay framework (where investors subscribe to ratings released by the agencies, and the subscription revenues become the main source of income for the rating agencies) to avoid the issue of conflict of interest. Experts agree that countries need to deliberate on the business model of the new agency ensuring its transparency. Given the critique of existing rating agencies, the proposed BRICS rating agency should set a higher bar on regulation and governance at the board level to become successful and credible. Gert Gouws, Divisional Executive Deal Support and Post Investment, Industrial Development Corporation of South Africa, believes establishing BRICS rating agency may not take longer than five years considering that BRICS have already established the NDB. For that, however, the countries must ensure they not only make the business and governance transparent, but authorize independent expert and financial industry professionals from five countries to run the agency and ensure that its products and services are not biased. Anatoly Valetov, Deputy Head, Moscow City Department for Foreign Economic Relations, believes the credit rating agency will definitely add to the process of institutionalizing the BRICS grouping. “This discussion should not be limited to only BRICS countries but should include all developing countries that are not currently happy with the bias of global rating agencies,” he said. Analysts point out that the BRICS credit rating agency could eventually become an agency rating not only BRICS countries, but all the developing markets in South Asia, South America and Africa.